What is it like working with your spouse? Why is it important to create art that is unique to you? What is the future of Radio Film School? Tune in to find out. Is a white director the best person to tell what is traditionally a black story? Is that a question that’s even fair to ask? Today we have the season 2 premiere of Radio Film School and we look at four essential characteristics to have fulfilling longevity in any artistic endeavor. Today I bring you a special announcement about the history, and more importantly, the future of the show. Filmmaking is one of the most powerful mediums there is to affect change and make a difference in the world. Filmmaking is a collaborative artform. Yet, tens of thousands of filmmakers all over the world shoot projects each week with no dedicated DP, no sound guy, and no assistants. It’s just them, a camera, some lenses, lights, and mics. They are one-man/one-woman bands. 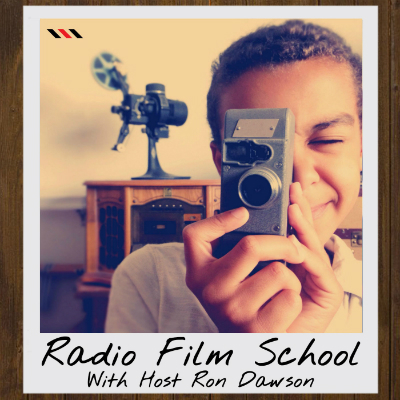 This is the main series of Radio Film School. In season 1 we're exploring the theme: finding your voice and developing a signature style. Host Ron Dawson takes you on a journey to discover what it means to be a filmmaker. A show unlike any other for the passionate and aspiring filmmaker, Radio Film School is more of an audio documentary than a traditional podcast. Think of it as This American Life for filmmakers.